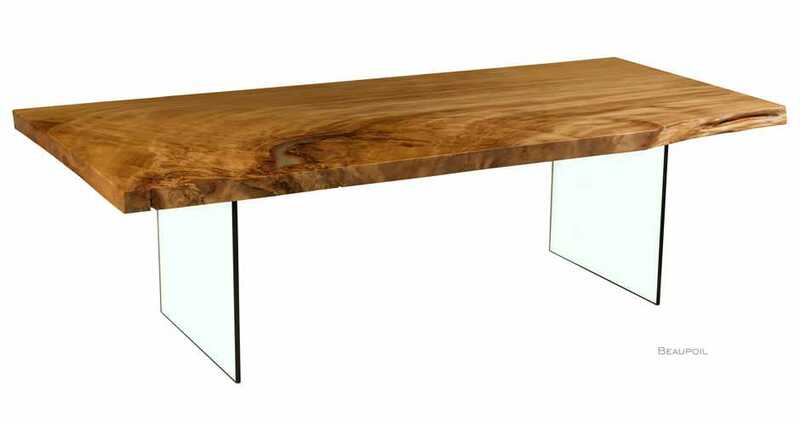 its lively wood grain and the filled-in natural features come into their own with the transparent glass pedestal. 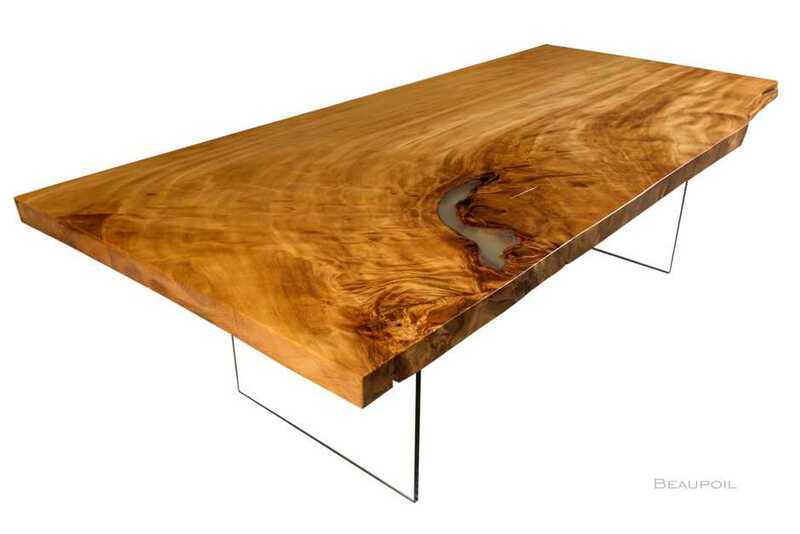 This designer table impressively shows the original wood grain, from the surface to the edge of the desk-top. 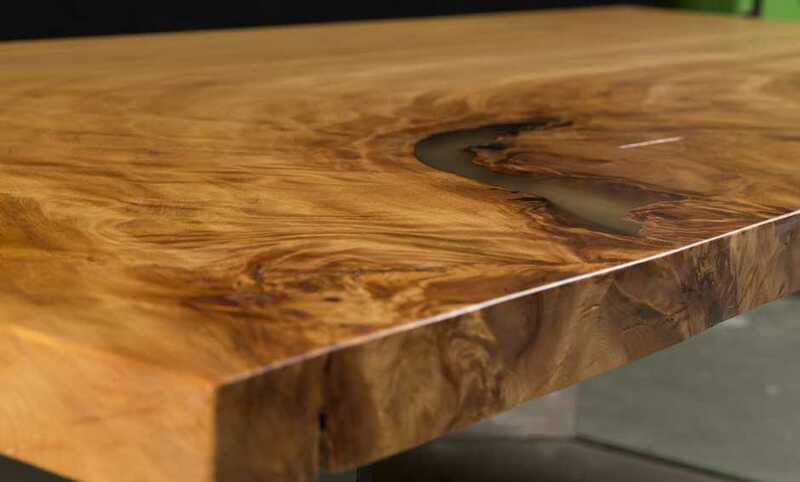 This unusual designer table from Ancient Kauri wood is timelessly modern. In the near area of the desk-top you see the fascinating natural characteristics of the root, which transition into the calmer regions of the main trunk in the distance. I attach great importance to a high level of quality workmanship during manufacture. 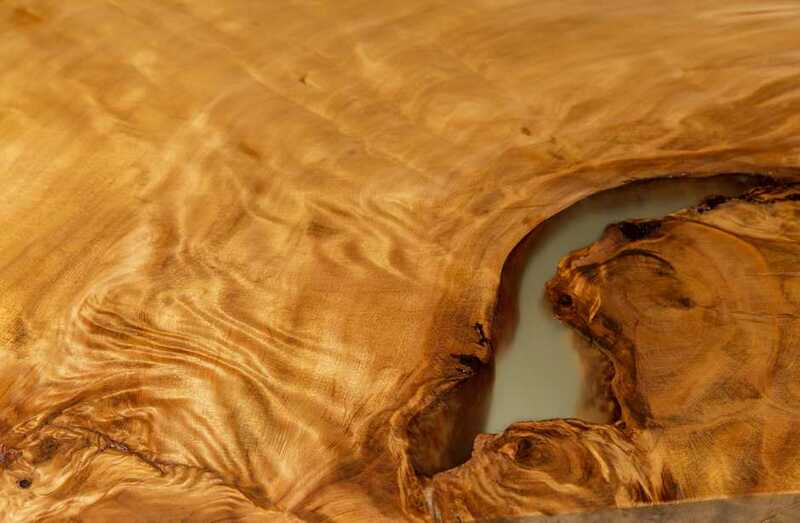 As the owner, you will enjoy an exclusive and valuable cabinetmaker‘s gem for a long time. the careful treatment of the artistic natural characteristics within the desk-tops. The designer tables are unusual and exclusive pieces of Master Cabinetmaker’s art. The special characteristics of growth and grain have a high aesthetic value and they are evidence of variety and uniqueness in Nature.